New Delhi; Sparsh Foundation organised a beautiful evening of melodious performance by various singers from Sparsh. The songs for performance had been selected from old Bollywood movies. Sparsh (ehsaas zindagi ka) was started in 2014 with the aim to provide a good platform for upcoming singers. This time Sparsh gave platform to one such upcoming singer, Amit Shukla, who is a cab driver for Ola. Apart from this they have included Indian Idol’s Stuti Tiwari as well as Dhani and Pakhi from Voice Kids. Someshwar Sharma from Sparsh, who organised the beautiful evening, was also one of the performing artists for the night. 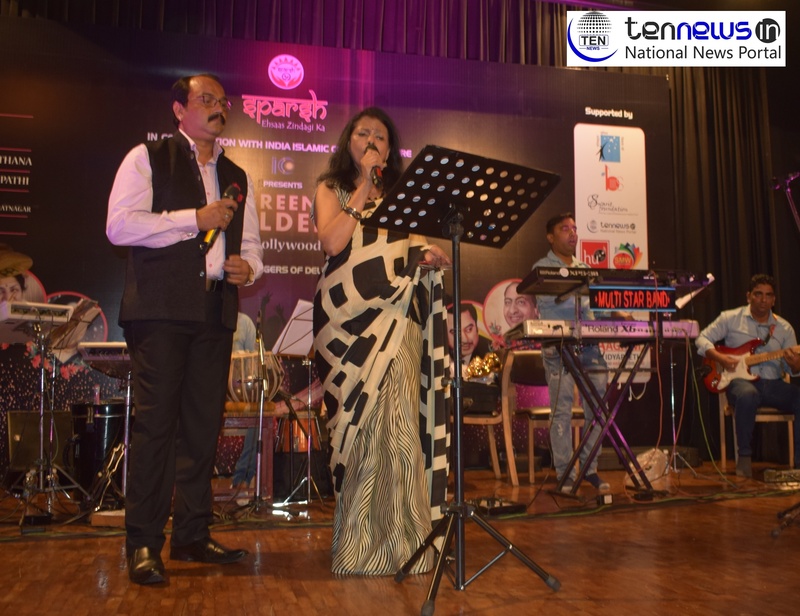 Stuti Tiwari, an ex-participant of Indian Idol was also a part of the evening and performed a couple of duets with Someshwar Sharma. “Today I feel very delighted to be the part of the function and as an artist I want to say that when we perform, audience is the only thing that matters for us and today, audience was so involved with all the performances we had here.